to buy cosmetics to sell. Dúo Amistad Group benötigte 675 US-Dollar, um ein Gewerbe im Bereich Handel auf- oder auszubauen. Das Geld wurde gesammelt und für Dúo Amistad Group bereitgestellt. The Dúo Amistad is represented by Silvia, age 20. She has been selling beauty products for women, men, and children for three years. She does this with the objective of paying for her own education. This way she helps her mother have funds to pay for her siblings' education. She sells her products during her free time at an urban area of the town. It is her first loan that she is getting, and she trusts that it will help her a lot in order to stock her products. It will also help with her education. 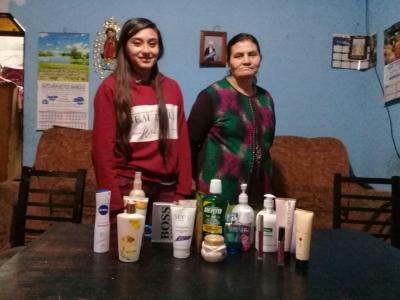 She is grateful to the Kiva lenders and to Fape for helping her get ahead in her business and her education.